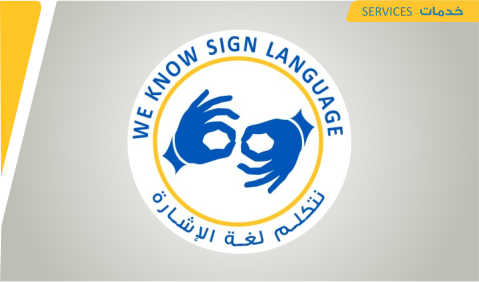 Al Ahli Bank of Kuwait (ABK) has launched one of its most community focused services yet with the introduction of staff with sign language skills in six of its branches. Twenty two members of ABK’s customer service team have been specially trained in sign language to assist customers who are hearing impaired with their banking needs. In the branches, staff with sign language skills can easily be identified by their badge which says “We Know Sign Language”. No appointments are needed and they are on duty during normal business hours at the Bank’s Head Office in Safat Square, and at ABK’s branches in Jabriya, South Sabahiya, Shaab, Firdous and Qurain. The service is part of ABK’s commitment to providing a comprehensive retail banking service to the general community and helps the Bank give more people direct access to ABK’s financial services and products than ever before.